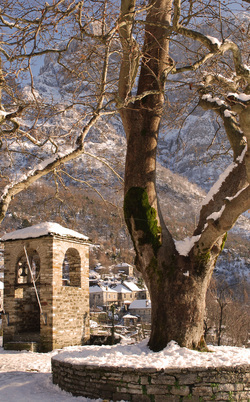 Zagori is a truly exceptional part of Greece - and to explore it on foot is a delight. 'Exploring Papingo' is a guide book of twelve walks in and around the Papingo villages. It gives a glimpse into the intricate landscape, and also details of some plants and animals that you may be lucky enough to stumble across. Historical background is covered too. There are long walks, medium walks and short exploratory wanders. The short walks can be seen perhaps as a warm-up walk before tackling a major summit, or a walk for children or for those with rather less energy than they used to have! All walks have route descriptions and maps, many have detailed drawings too. ​​'Exploring Papingo' is available in English and Greek; there is also a Hebrew supplement.